The new season marks a fresh start for all 32 National Hockey League teams. Among them, there are some teams are more likely to be led to victory than others. In the Western Conference, there are three standout teams this year. Firstly, exhibit A: the Winnipeg Jets. Led by their star goalie, Connor Hellebuyck, the team reached the third round of the playoffs for the first time in a long time, proving to fans that the team has what it takes. Their young forwards just continue to develop, and their first round draft pick, Patrick Laine, provides the team with the physicality needed to succeed. Then, there is Exhibit B: The Nashville Predators. It seems like yesterday that P.K. Subban was traded to the team from Montreal, but for Predator fans, it seems like an eternity. P.K. has fit in with the team well, and his ability to both score and play defense makes a huge difference. Goalie Pekka Rinne and forward Ryan Johansen are also contributing factors, leading to success season after season. The Predators are certainly a cup contender this season. Finally, Exhibit C: The San Jose Sharks. Before the offseason, the Sharks had were strong, but not entirely. Now, with the addition of elite defensemen Erik Karlsson and the increased talent of players like Tomas Hertl, the team certainly has a chance. 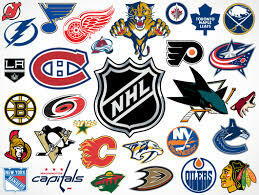 The weak performance of the Calgary Flames and the injury-stricken Anaheim Ducks will also help, so I predict that the Sharks will remain at the top of the Pacific Division, and will compete for the Western Conference title this year. As for the Eastern Conference, three teams besides the obvious runner-ups, the Washington Capitals, have a fairly good chance this season to compete for, and hopefully, win the Stanley Cup. For starters, the Pittsburgh Penguins are clear contenders. Though their team is not as strong as it once was, and goaltending was an issue last season, incredible leadership by Captain Sidney Crosby and sufficient coaching by Mike Sullivan will keep the team in the running. If Matt Murray, the starting goalie, can remain consistent, the team just might have a chance to win their third cup in four seasons. Another prediction is the Boston Bruins. The Bruins went fairly far last season, but were stopped by the Lightning in the second round. If Tuukka Rask and Zdeno Chara can find a way to repeat last season, the team will have a very good chance at winning the cup again this year. Finally, there is the Tampa Bay Lightning. The Lightning had an outstanding season in 2017, and look to continue with a great season this year. With the health of Steven Stamkos now stable, I think that the Lightning, with all their glory and experience, will give every other tema a run for their money, possible allowing them to win the cup. The success of a team in hockey depends on a lot of factors; health, commitment, coaching, and of course, playing by the rules. Every team has a good chance at winning the Stanley Cup; that’s simply the beauty of hockey. This season, I hope to see new talent and skill while retaining the same outstanding viewing experience I have had in years past. What are you looking forward to this season? Who are you rooting for? Let me know, and stay tuned for the next edition of this article, where I will cover season developments and my current thoughts for the cup!